There’s a reason Rory McIlroy has that Dog Headcover on his driver. He got it from The Dog House, or perhaps from being in our Dog House so many times. 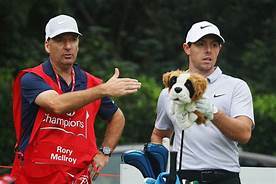 After getting sent to the Dog House following his exit from the WGC Match Play, Rory’s already back in. Well, it seems The Rory Foundation, the charitable arm for McIlroy, ceased operations last December. There is no more Rory Foundation in Europe or anywhere else for that matter. Hey, looks like Rory wasn’t kidding when he said it’s all about him this season. Back into the Dog House with lad from Northern Ireland.